As we get ready to receive the New Year, International Funders for Indigenous Peoples (IFIP) takes a moment to appreciate your support and guidance during IFIP’s year of transition. IFIP is at a moment of promise and possibility and we sincerely appreciate your accompaniment as members, funders, allies and friends. With over 15 years of experience, IFIP has been a key convener and catalyst for defining and developing the field of Indigenous Peoples’ funding. In January 2017, IFIP adopted a new Strategic Framework, the rich vision of the strategy is guiding our current work and future plans. IFIP invested energy in 2017 on listening, reflecting, reorganizing, and reemerging. We reemerged with a strong sense of direction based on our experience and vision for the future. 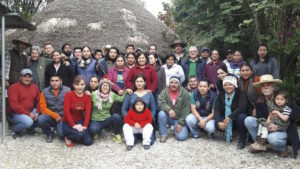 What is next is developing programs that aim to convene our members in collaborative spaces, share information from the field, and promote value based practices that funders need to grow support that enables Indigenous Peoples to continue to transform systems to adopt Indigenous Peoples’ rights. We know each of you and your organizations has contributed to IFIP in a variety of ways, a clear indication of the sense of community IFIP embraces and wants to promote. At this moment of renewal and promise, we invite you to contribute and invest in IFIP’s future by supporting IFIP with a year-end financial contribution. IFIP will use your organization’s investment towards the new programs, growing, and influencing. 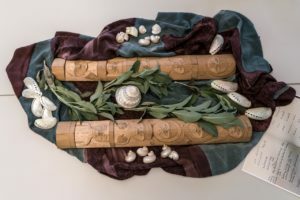 IFIP’s renewed and focused energy will support its members to grow a community beyond IFIP’s membership to a wider set of funders active on Indigenous issues. 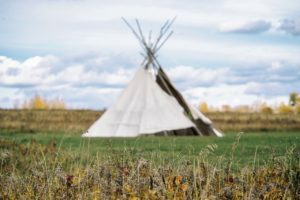 IFIP also recognizes the opportunity and importance of finding common ground with other movements and networks to bring attention to Indigenous issues to spaces where it may not be a priority. It reminds the wider world of philanthropy and civil society that Indigenous Peoples are here and using their voice, wisdom, and strength to advance their rights. As a funders network, IFIP is so ever grateful for your trust and the commitment to our mission and for the role you play, influencing and advancing Indigenous Peoples’ issues and rights.